Looking for ways to keep your toddler entertained on days you spend at home? 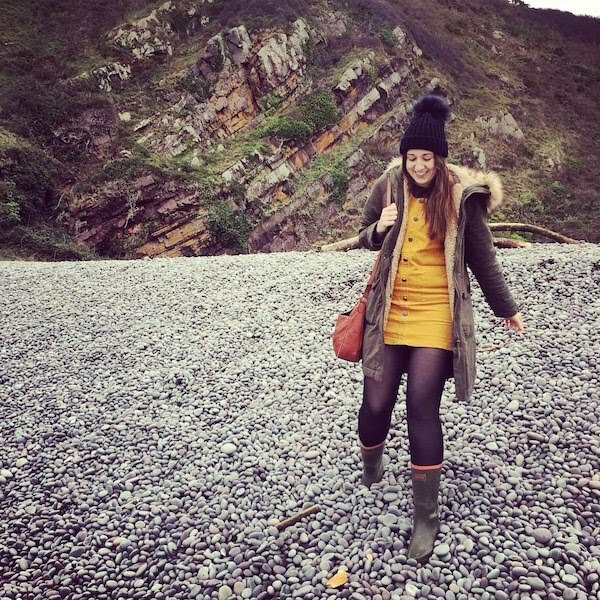 Here I've shared seven fun and easy ideas that are sure to put a smile on their face! 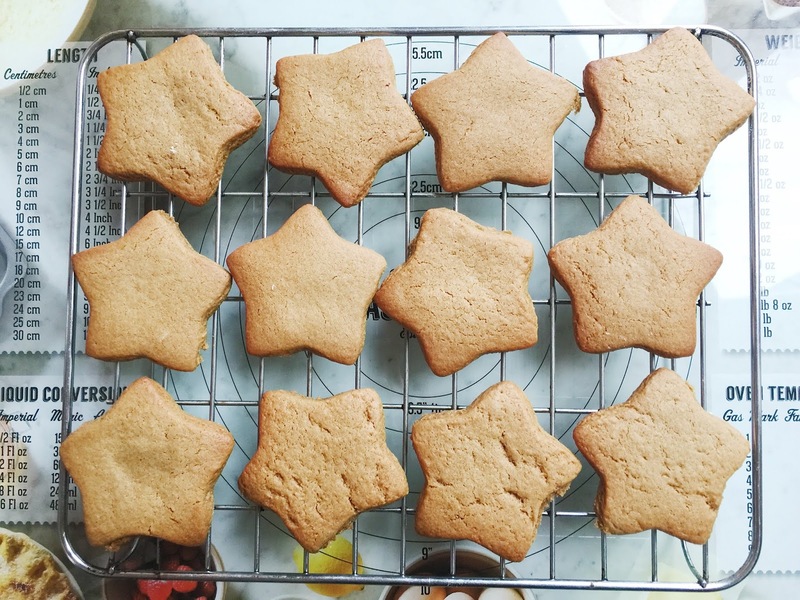 Baking with kids is fun (and also rather messy) but if your little one isn't quite old enough to appreciate it yet, why not just have a go at the decorating part? Pre-bake a batch of cupcakes or gingerbread to decorate with icing (squeezy tubes work well), hundreds and thousands or any other little decorations that take your fancy. Side note: If you're not into baking, you can pick up a decorating kit from the supermarket. Another somewhat messy (there's a running theme here) but fun activity to do with kids at home is painting. Arthur always has lots of fun hand print painting but more recently, we've had a go at jam jar painting too. 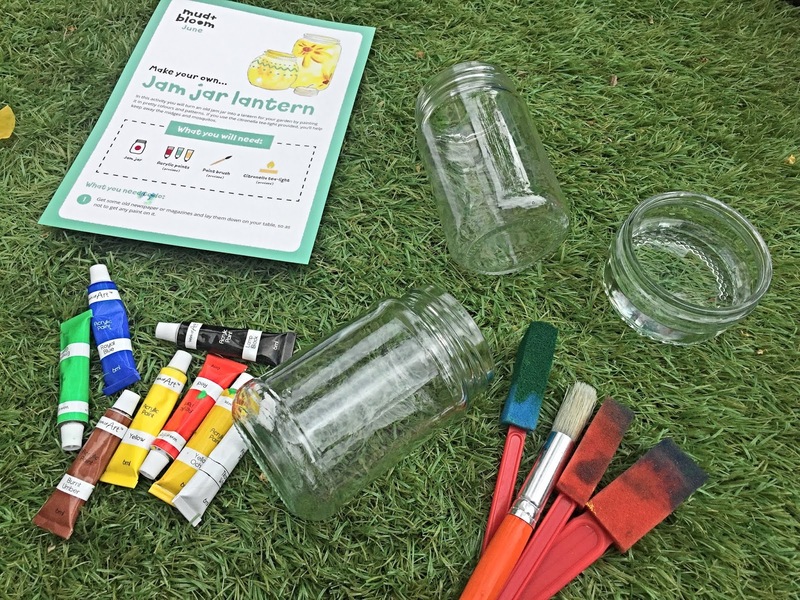 Our June Mud & Bloom subscription box* came with acrylic paints for decorating jam jar lanterns and it really is such a lovely idea and something a little different for kids to do! Okay so this may sound like child labour but hear me out? Arthur loves cleaning. He jumps for joy when I get Henry the Hoover out and has so much fun with the squirting mop too. He's also partial to running round the house dusting! On the plus side it means you can get the cleaning done with a happy toddler in tow. The downside is that it'll take you a hell of a lot longer than if you were to just do it by yourself but parent life's about compromise right? I'm wondering at what age cleaning will no longer be a fun activity for him. I can't imagine him jumping for joy at the prospect of hoovering in his teenage years, can you? I love doing little craft projects with Arthur, especially around holidays like Christmas and Easter where you can make some really lovely cards for family members. Obviously you can pick up some fantastic craft products from places like The Range and Hobby Craft or if you're looking for a kit, the Early Learning Centre's got you covered. 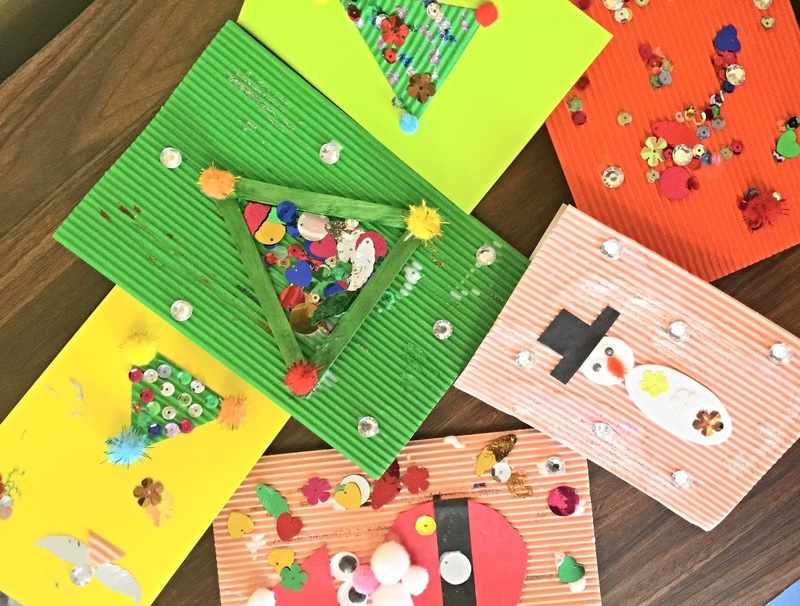 Around certain holidays, you'll find you can pick up themed card making kits for kids - I remember there being loads in The Range and on websites like eBay and Amazon. If Arthur's looking a little tired and I don't want him to danger nap or if he's completely the opposite way and has bags of energy that needs burning off a little; I'll suggest we have a dance party! This literally involves sticking on any sort of music, from kids' nursery rhymes to the latest chart toppers and just dancing like no ones watching (side note: there have been occasions when people HAVE been watching...and have only seen me throwing my best shapes and not Arthur...great stuff.) And if you're looking for new music, Spotify is currently offering 3 month's premium service for just 99p - thanks Claire for the heads up! Gardening activities like watering the flowers and planting seeds are great fun for toddlers. 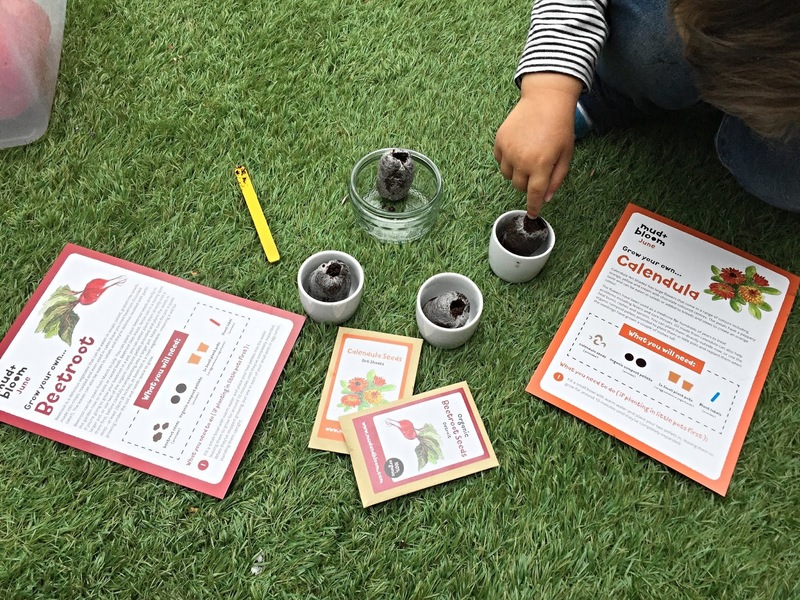 A few months back we had a go at planting our own kitchen herb garden, which was a success and more recently, we've been planting the seeds in Arthur's Mud & Bloom boxes. In last month's box, we received Sweet Pea and Pumpkin seeds, which sprouted and are now growing nicely in the garden. This month, it was Calendula and Beetroot seeds, which are currently growing in little egg cups on our kitchen window sill but will be transferred into pots in the garden within the next few days. Arthur loves seeing his little plants grow and I think it's such a worthwhile activity to get kids doing - especially if they can start to grow their own vegetables that they can eventually eat! 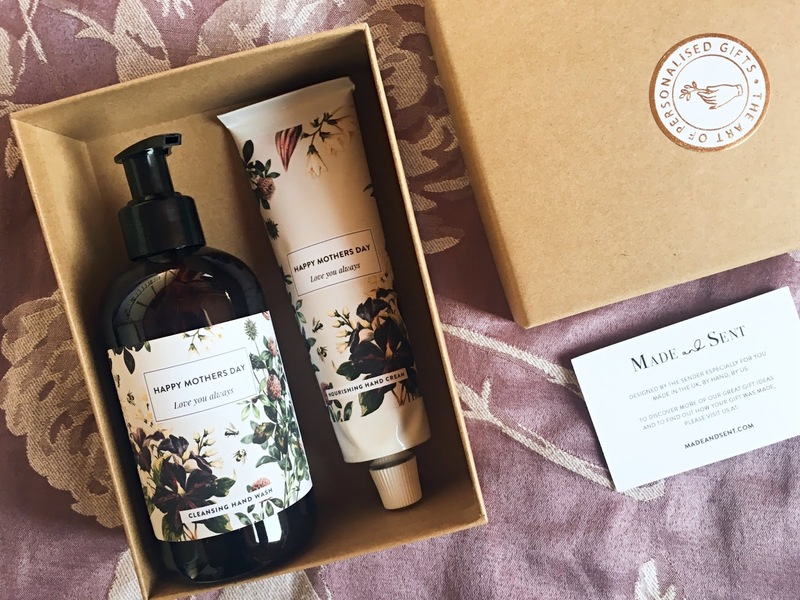 Be sure to take a look at Mud & Bloom's subscription boxes for seed planting and other toddler-friendly gardening activities. One of Arthur's favourite games that keeps him entertained for a good while is playing 'Find The...' I have a few little coloured balls which I'll hide in various different places in the garden and he has to find them all. Sometimes I'll give him little clues and he gets so excited working out where they are. We've been playing it since my partner did him an egg hunt in the garden at Easter, which he absolutely loved. A really simple game but often things like this are the most fun for toddlers!